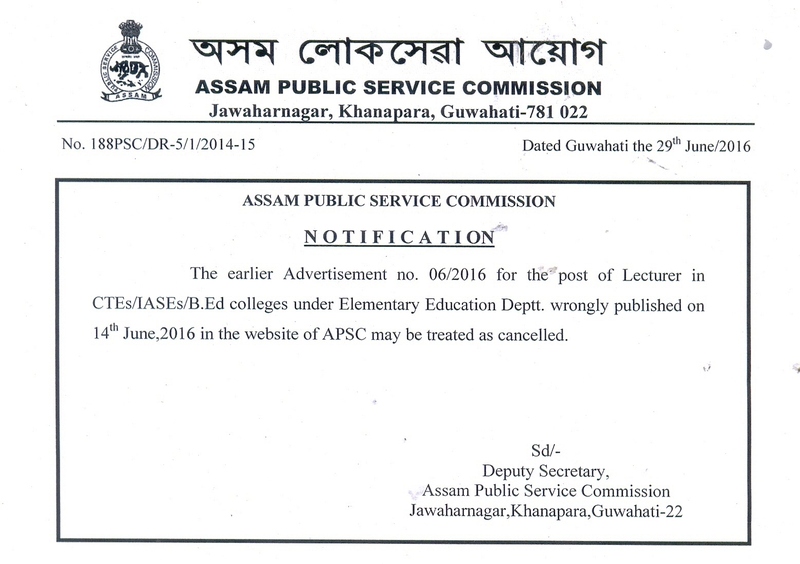 Notification: Viva-voce/Interview for the post of Lecturer in Science(PSTE), DIET vide Advt. No. 13/2017. 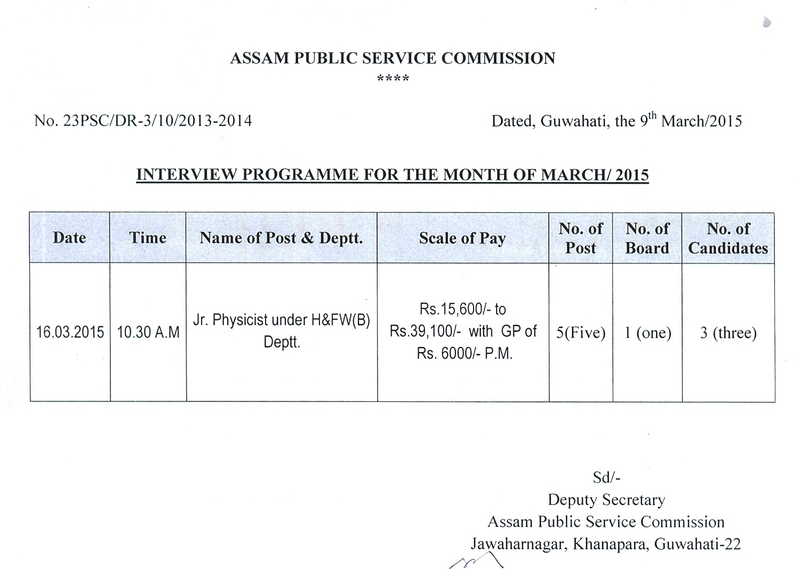 Notification: Viva-voce/Interview for the post of Lecturer in Mathematics (PSTE), DIET vide Advt. No. 13/2017. 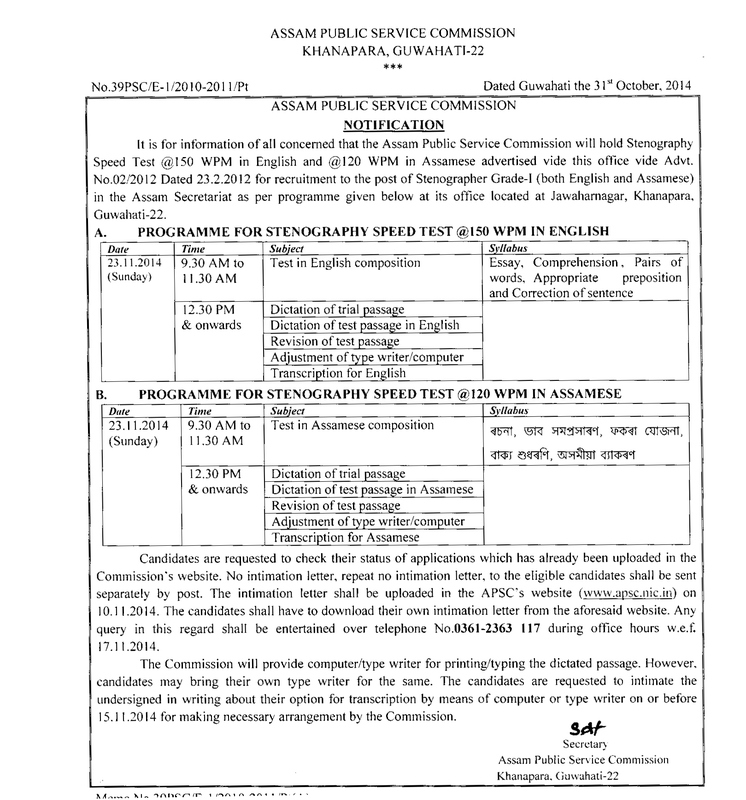 Notification: Viva-voce/Interview for the post of Lecturer in DIET 1)Foundation Education(PSTE) & 2)English(PSTE) vide Advt. No. 13/2017. 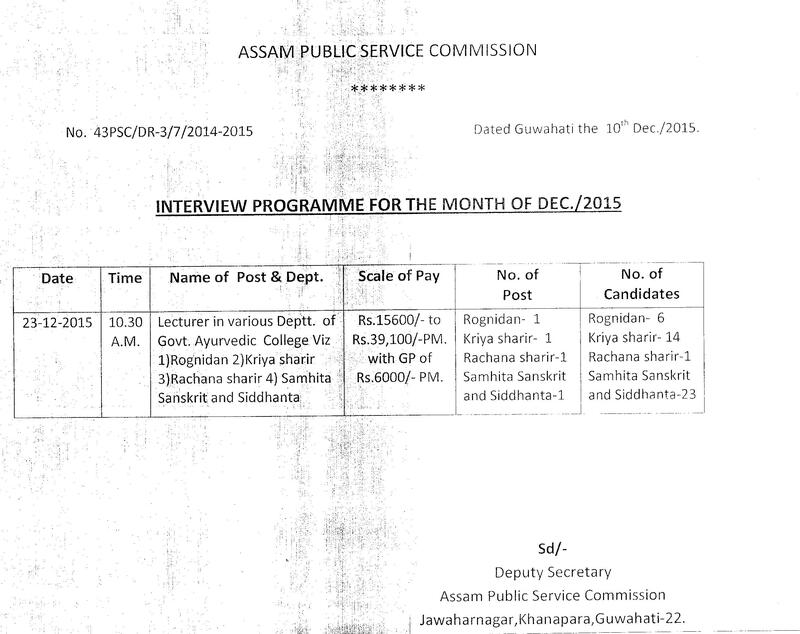 Notification: Viva-voce/Interview for the post of Lecturer in DIET vide Advt. No. 13/2017. 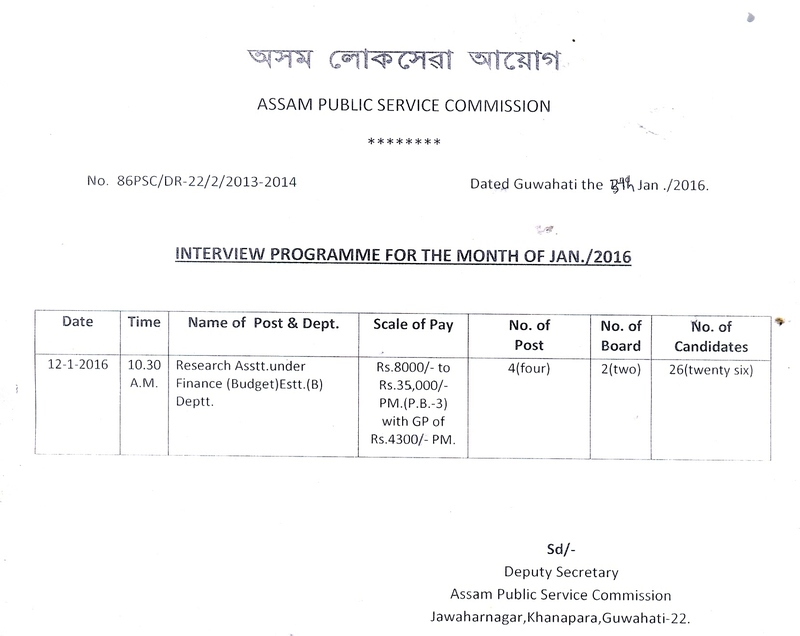 Notification: Viva-voce/Interview for the post of Senior Scientific Assistant(Drugs & Narcotics, Toxicology & Instrumentation Divisions) vide Advt. No. 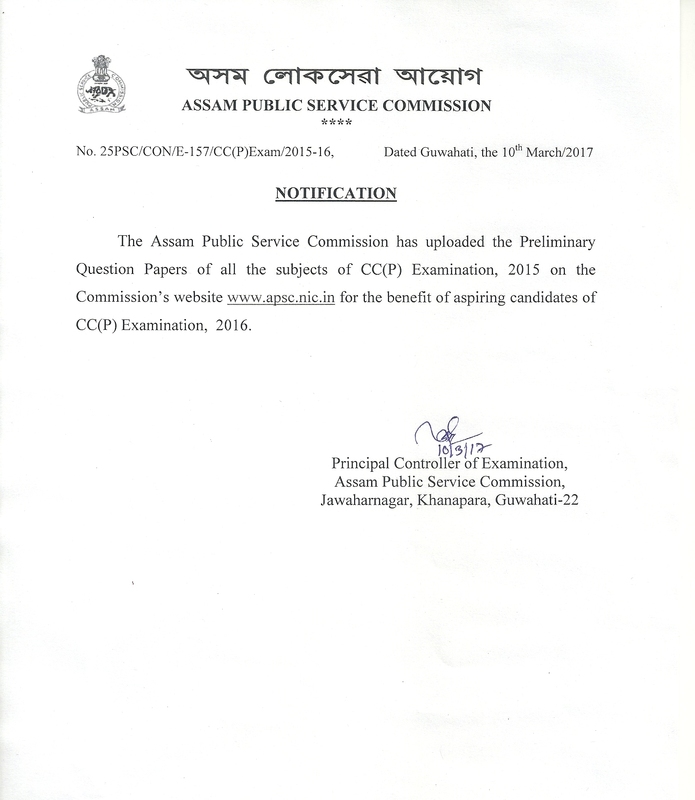 01/2017 dated 16/01/2017. 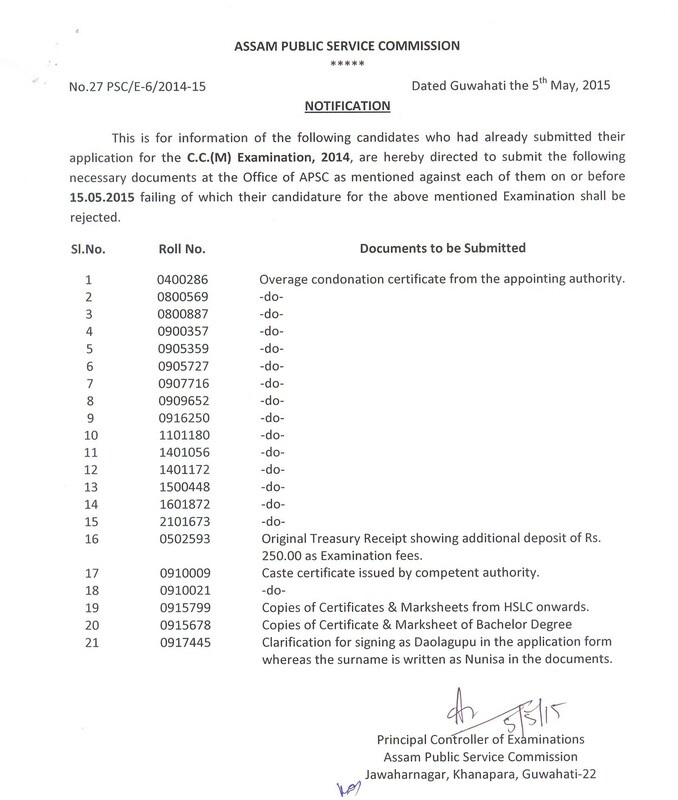 Notification: Canellation notice of LAN tender. 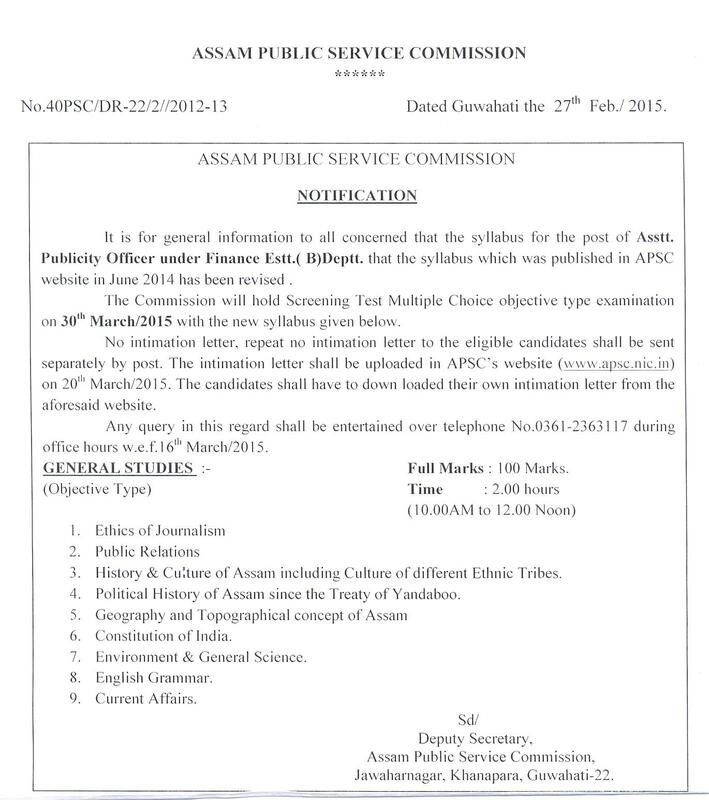 Notification: Viva-voce/Interview for the post of Asstt. Manager/Supdt. 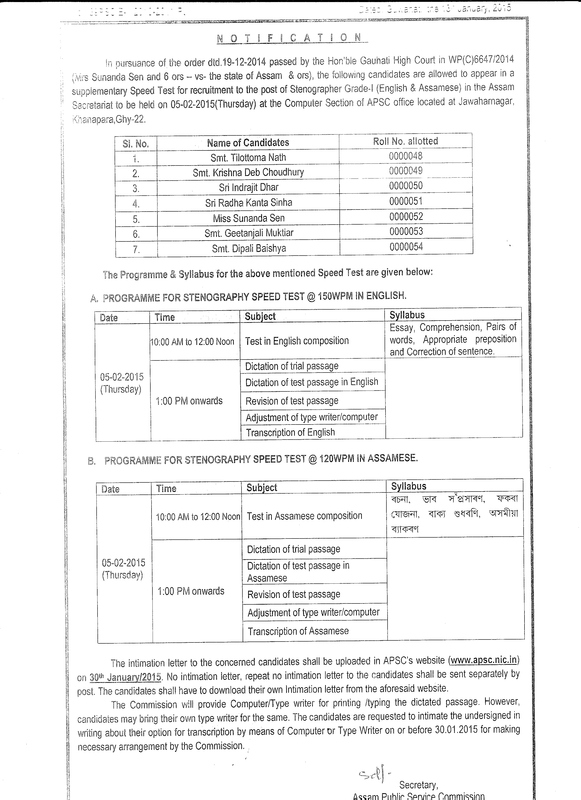 Of Industries/ Asstt. 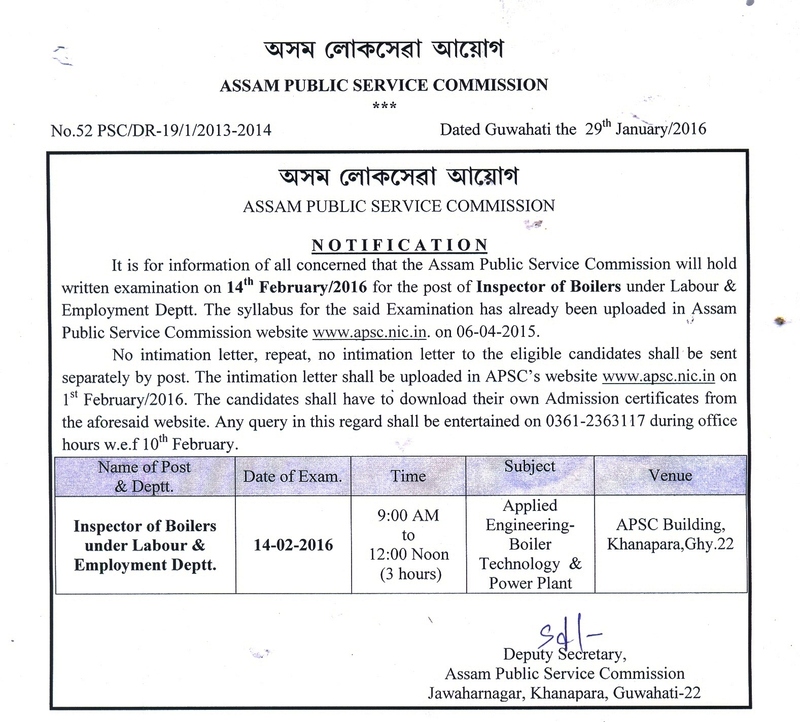 Industries Officer under Industries & Commerce Deptt.. 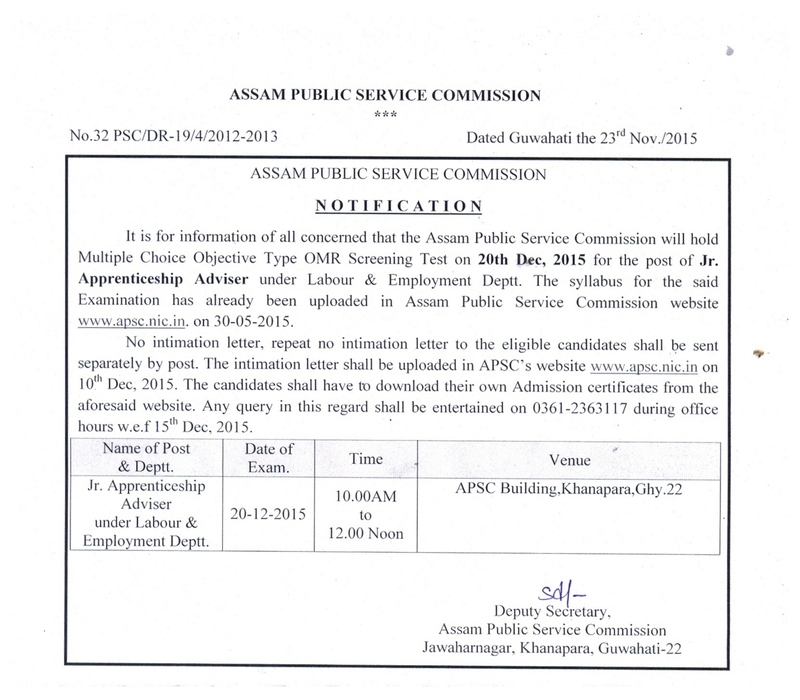 Notification: Viva-voce interview for the post of Inspector of Factories under Labour & Employment Deptt. 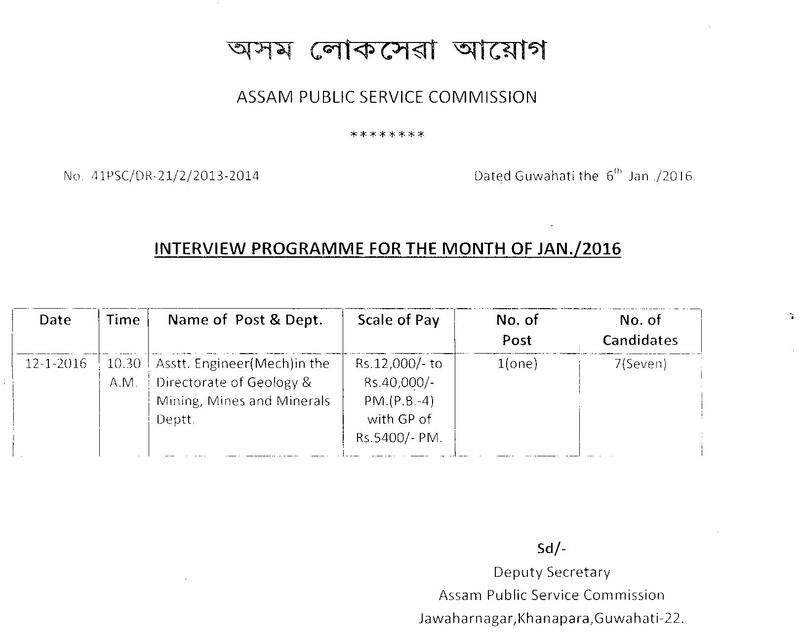 Notification: Senior Scientific Officer (Chemistry Division) in the Directorate of Forensic Science, Assam, Guwahati under Home & Political Department. 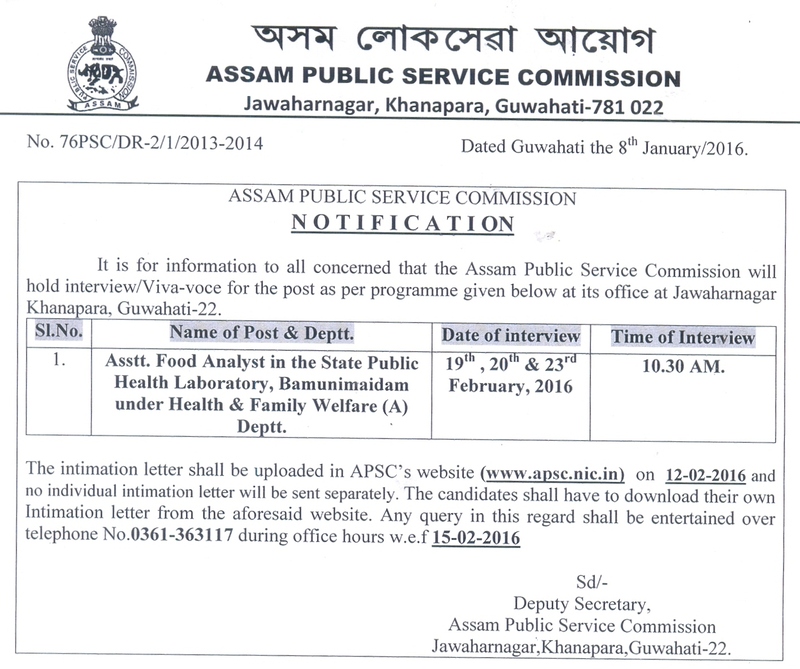 Notification: Senior Scientific Officer (Serology Division) in the Directorate of Forensic Science, Assam, Guwahati under Home & Political Department. 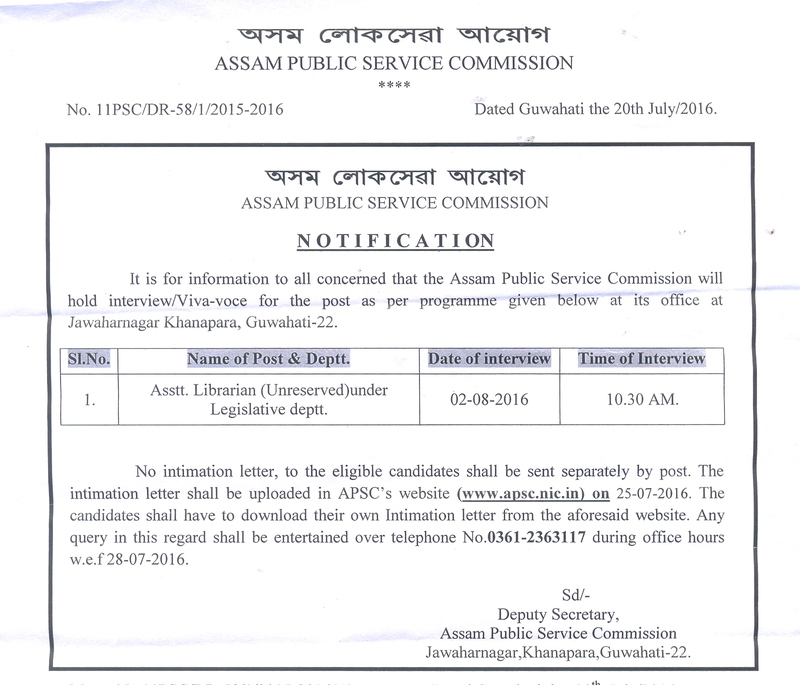 Notification: Law Assistant to Legal Remembrancer and Under Secretary to the Govt. 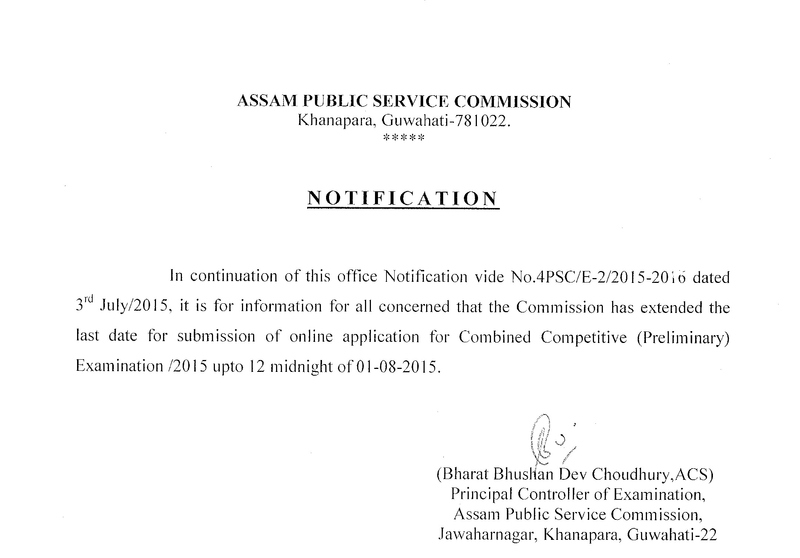 of Assam, Judicial Department (Grade-IV of the Assam Legal Service). 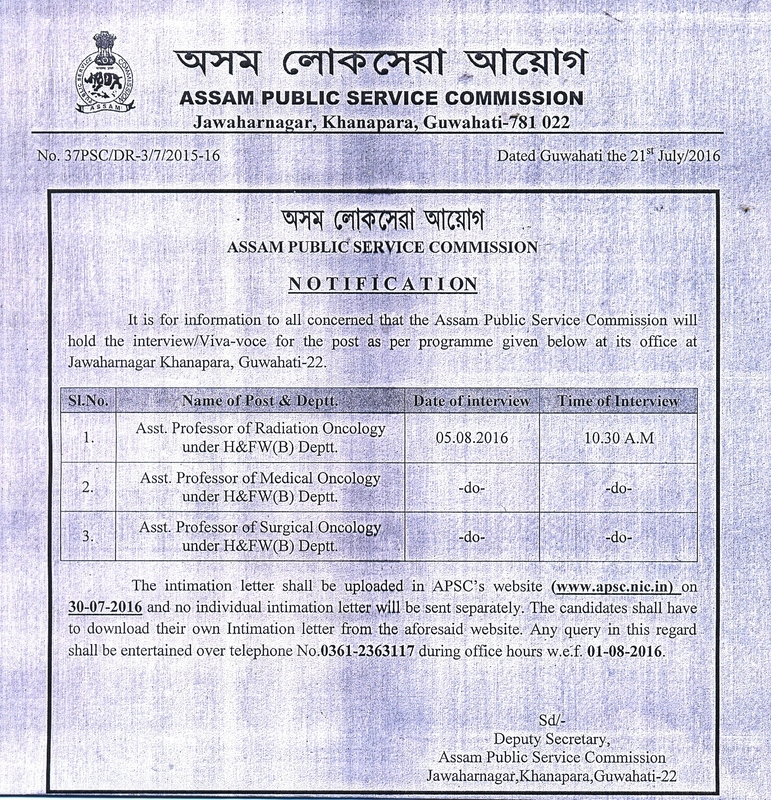 Notification: Asstt. 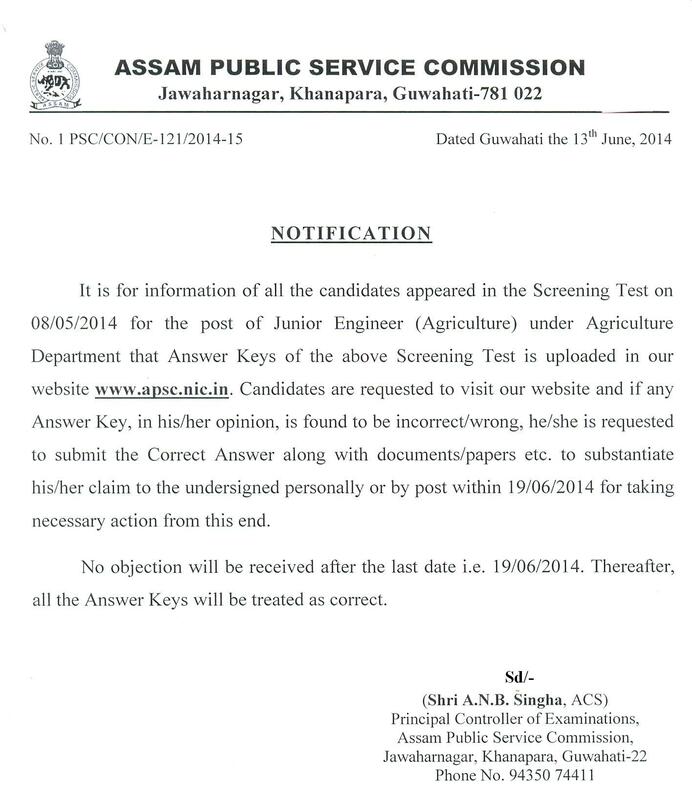 Engineer (IT) under Public Health Engineering Deptt. 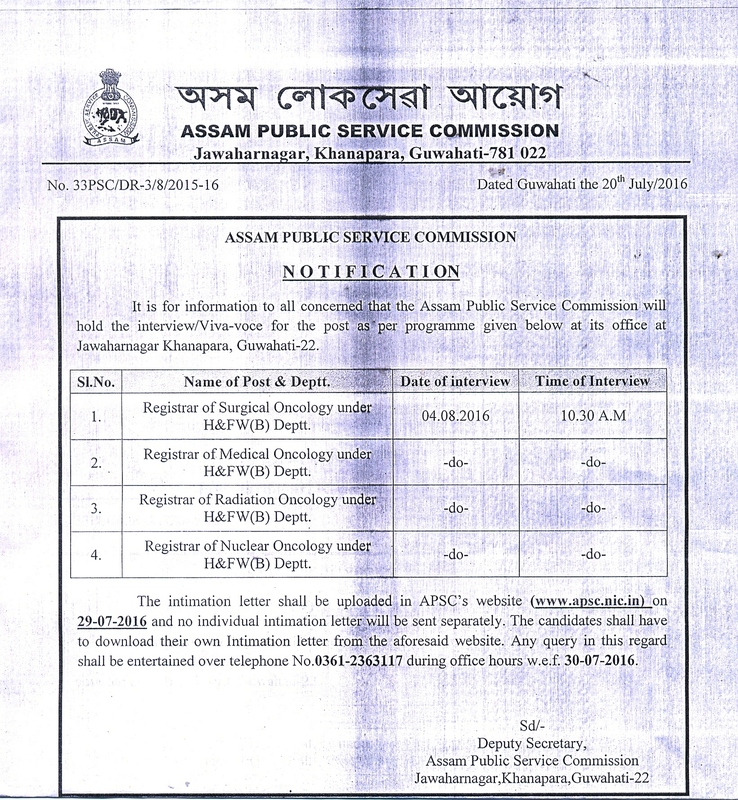 Notification: Asstt. 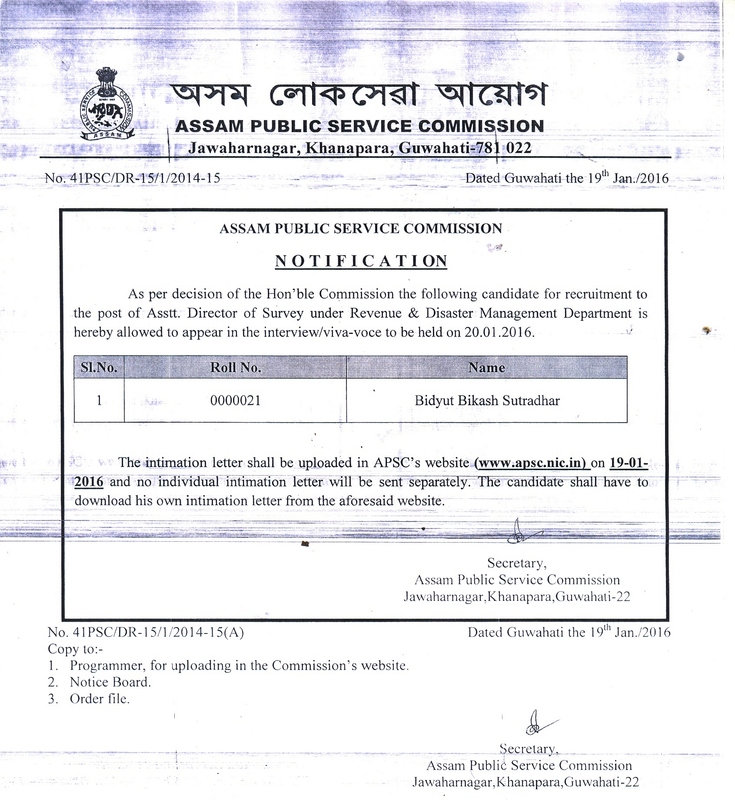 Director, Town & Country Planning under Urban Development Deptt. 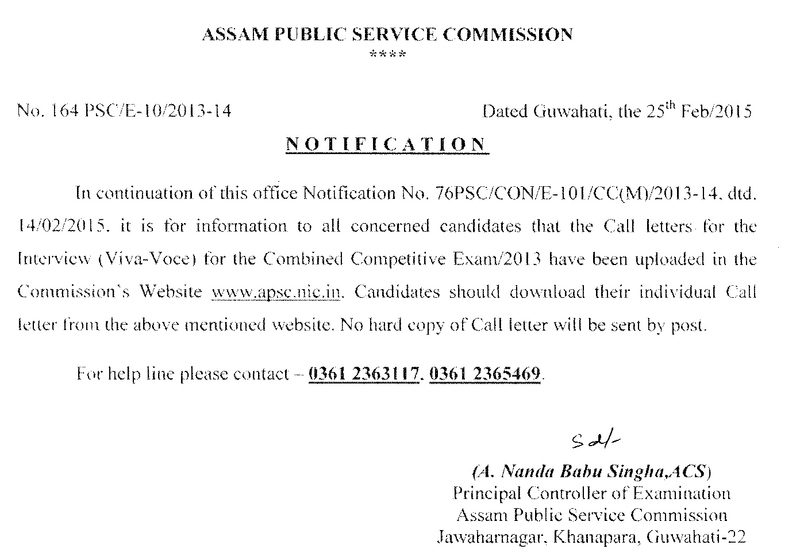 Notification: Interview/Viva-Voce for the post of Principal Luit Konwar Rudra Baruah State College of Music under Cultural Affairs Deptt. 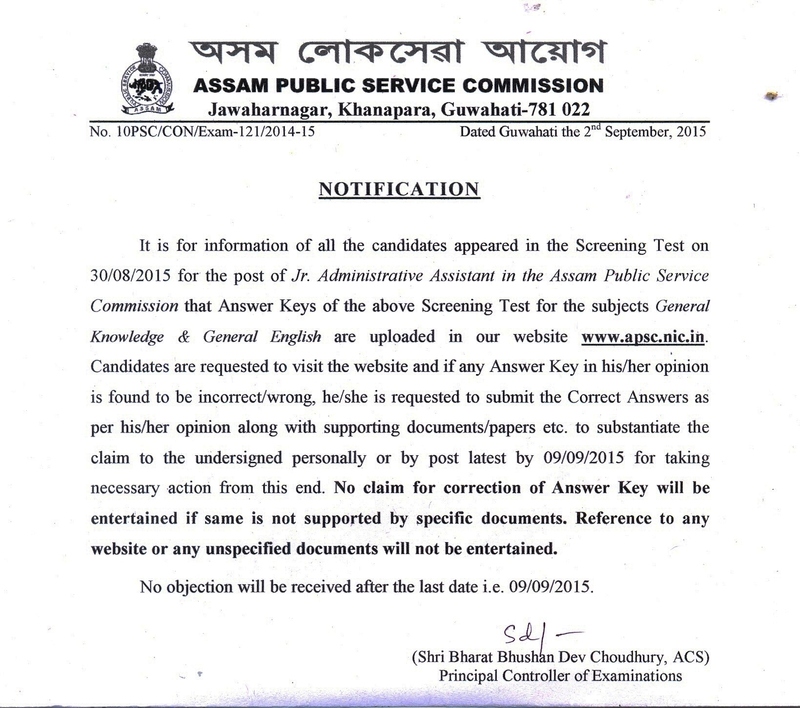 Notification: Screening Test for the post of Asstt. Manager/Supdt. Of Industries/ Asstt. 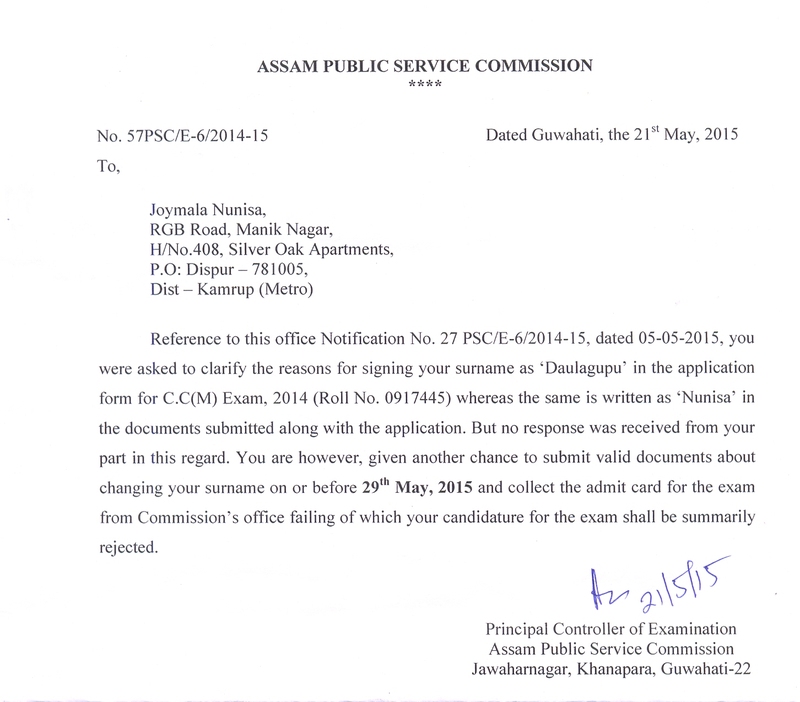 Industries Officer under Industries & Commerce Deptt.. 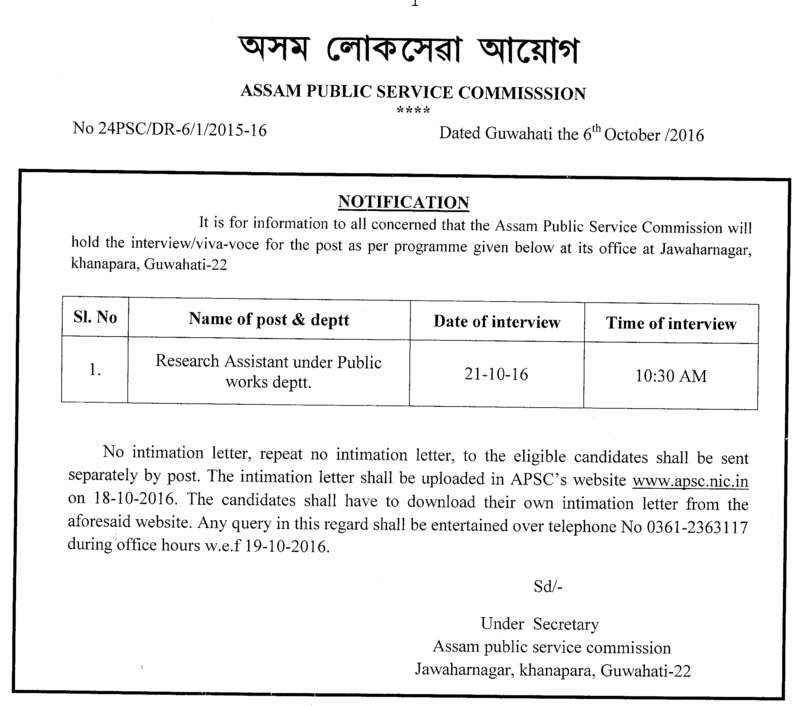 Notification: Sr. Scientific Officer (Serology) in the Directorate of Forensic Sciences, Assam, Guwahati under Home & Political Deptt. 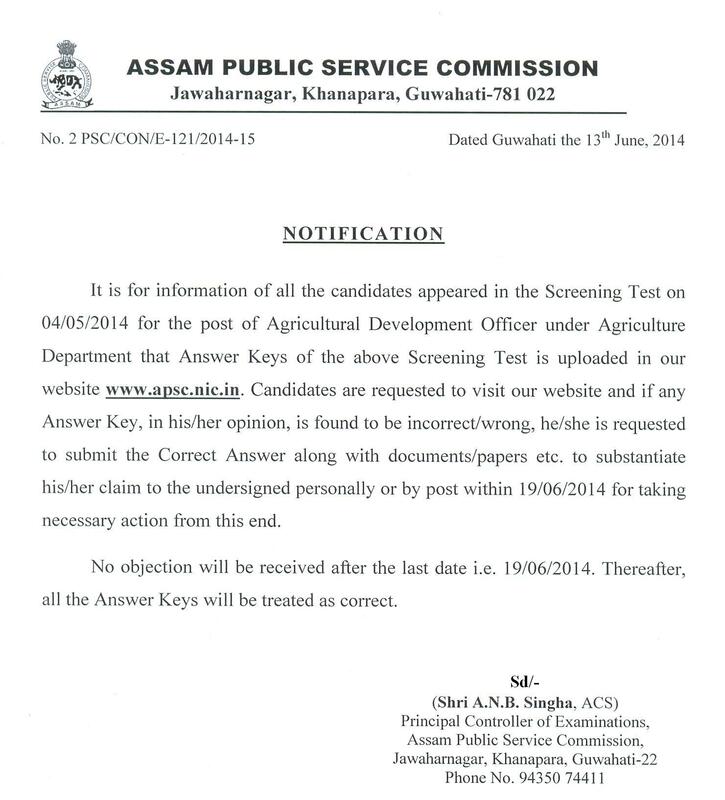 Notification: Answer Keys of Screening Test for the post of BDO under P&RD Deptt. 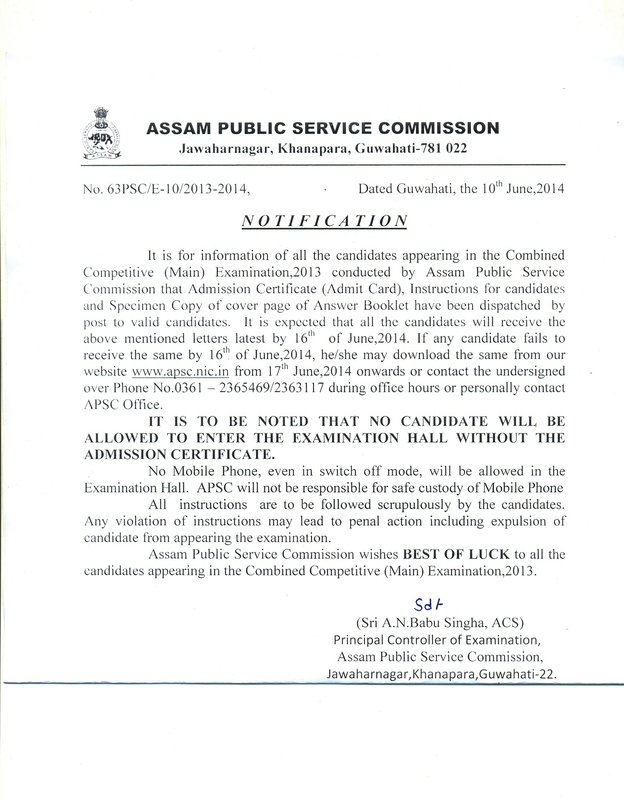 Notification: Postponement of Screening Test for the post of Asstt. Manager/Supdt. 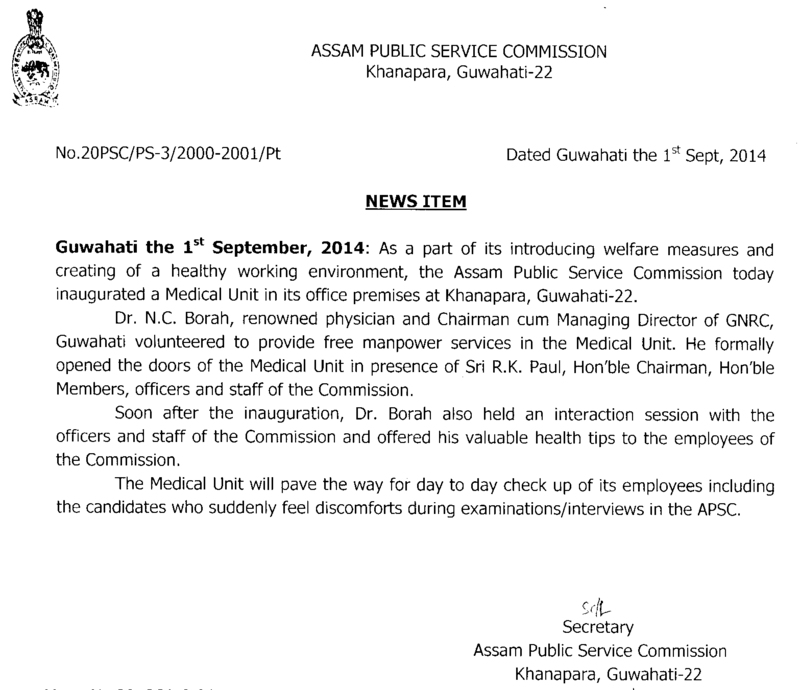 Of Industries/ Asstt. 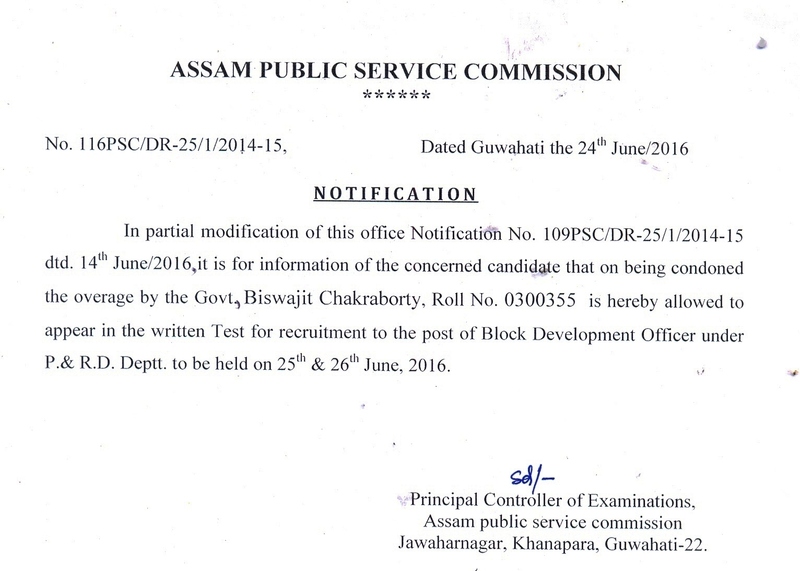 Industries Officer under Industries & Commerce Deptt.. 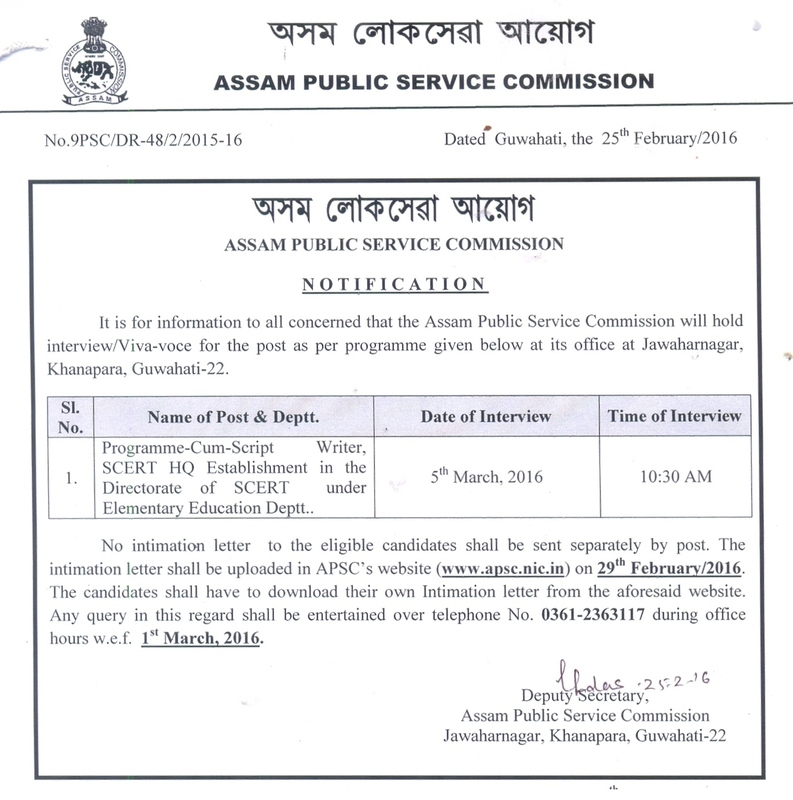 Notification for interview/viva-voce for the post of Asstt. 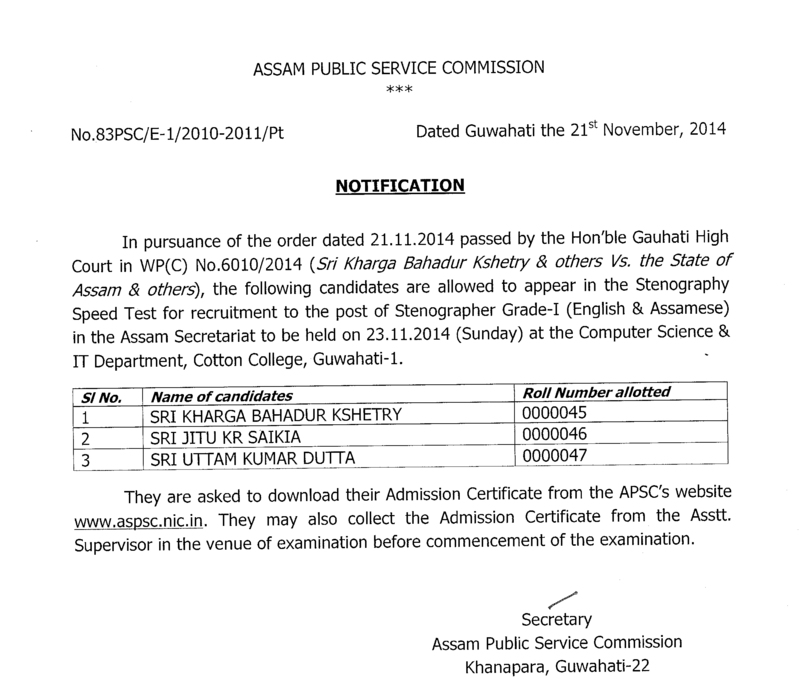 Professor of various subjects for Diphu college under Higher Education Deptt. 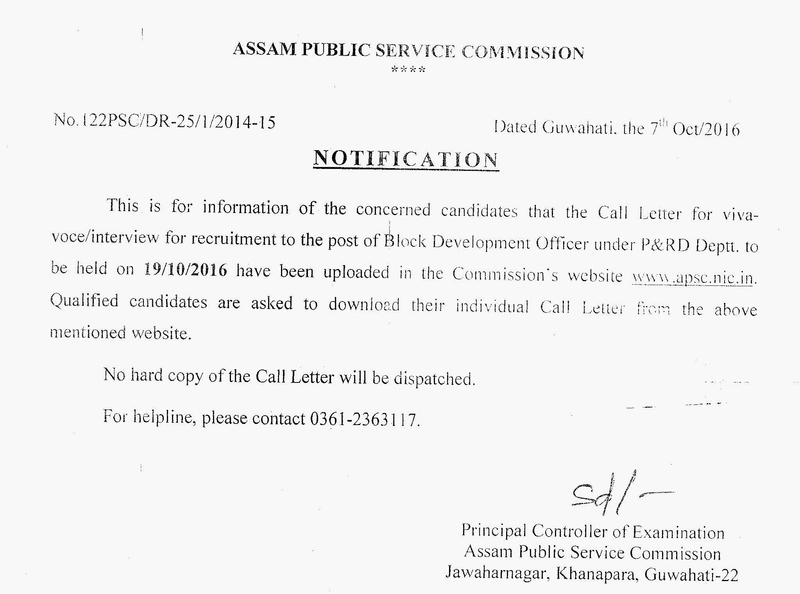 Notification: Block Development Officer under Panchayat & Rural Development Deptt. 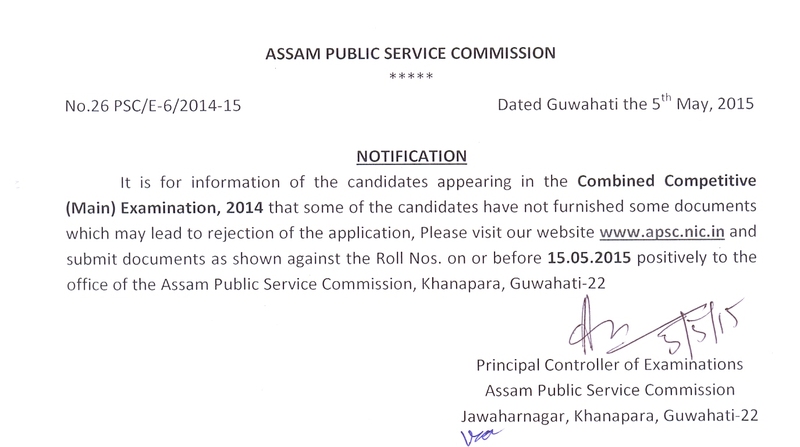 Notification: rescheduled dates of Interview of Assistant Professor in Cotton College under Higher Education Deptt. 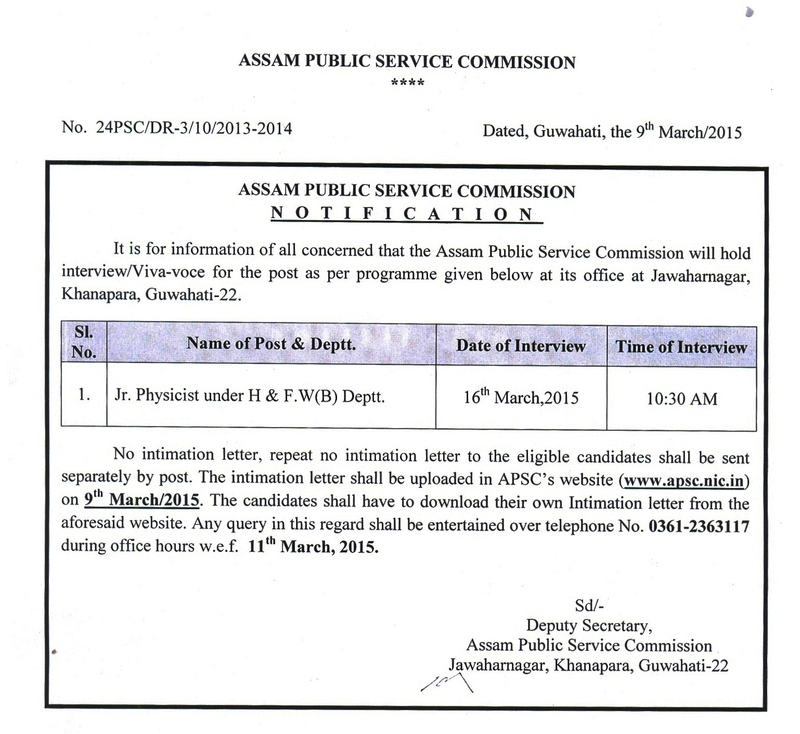 Notification: Interview Dates for the post of Asstt. 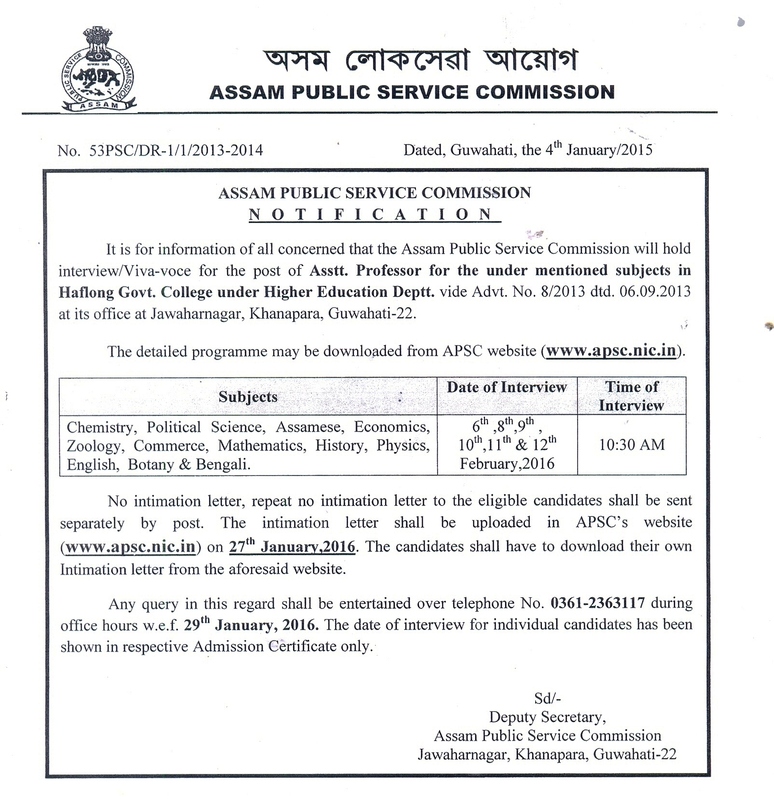 Professor in Cotton College under Higher Education Deptt.